San Francisco is making great progress towards our "Zero Waste to Landfill by 2020" goal & Prop A could put that at risk. No on A. Protect Coit Tower from Recreation and Park privatization efforts. Yes on B. 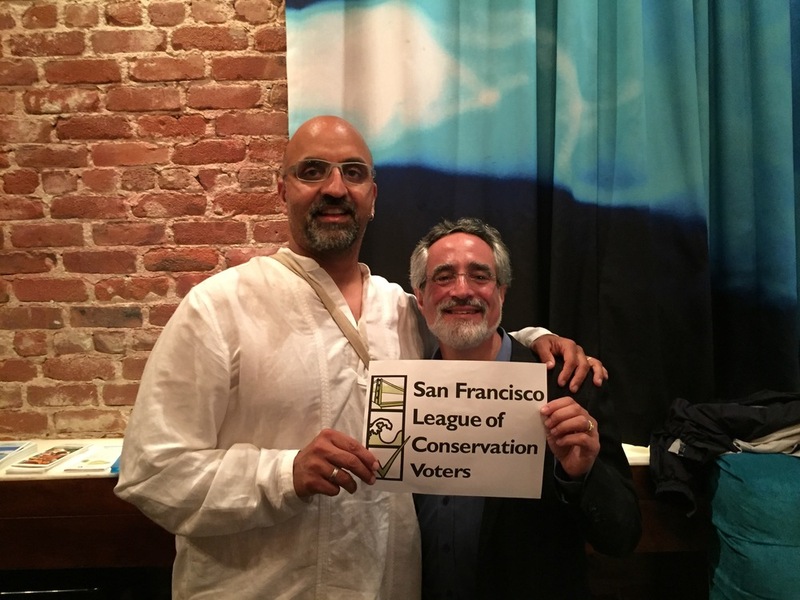 If you are interested in seeking the endorsement of the San Francisco League of Conservation voters, please find our questionnaire below. The questionnaire is due July 10th, 2011. Please send the completed questionnaire to adrian@sflcv.org, and michelle@sflcv.org Please find the questionnaire here. If you are a candidate in the November 2010 Election in San Francisco seeking our endorsement, please fill out the appropriate questionnaire, and get it back to us as soon as possible (contact information can be found on the questionnaire pages below). We will also be contacting candidates directly in the next month. Yes on A - Budget Reform - This makes the budget biennial. This is a good government issue for us, trying to make the budget process better.Yes on B - Board of Supervisor Aides - This allows supervisors to hire more than two aides. This is another good government issue for us. No on D - Mid Market Special Sign District - While a goal of a vibrant mid market district is a fine one. We are uncertain that more signs and billboards will make it that way. Yes on E - Advertisements on City Property - This prevents there from being a further expansion of the use of city furniture and buildings to be sold as ad space. Though they are running unopposed, we also support candidates: Jose M. Cisneros for Treasurer and Dennis Herrera for City Attorney.